Build up to 7 robot examples with one kit. ROBOTIS PLAY 300 DINOs : Bluebird, Puppy, Cricket, and more! ROBOTIS PLAY 600 PETs : Triceratops, Tyranno, Brachio, and more! The PLAY products have different part sizes depending on the model. Various themes like jungle, ocean, and dinosaurs! 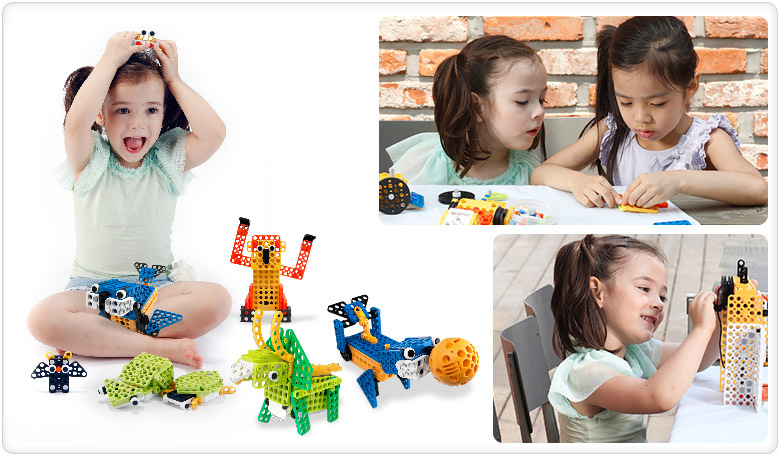 ROBOTIS PLAY is theme-based so children can have diverse experience and develop on creativity. Make the robot move using the actuator! 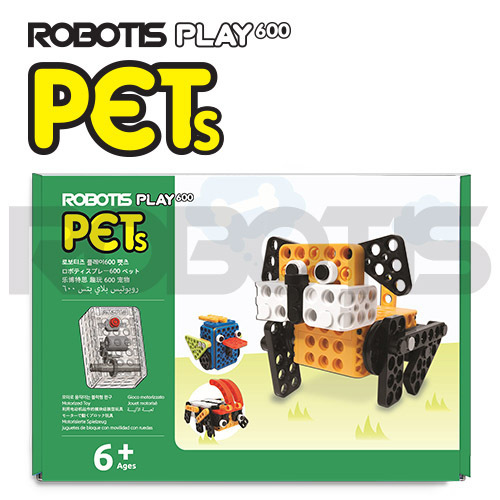 ROBOTIS PLAY is more than a block toy. It uses an actuator to move on its own, developing on your children’s space perception. * The actuator model (shape, size, etc.) is different depending on the grid size of the product. helping to improve on concentration. * Not all robot examples depicted in this image are available for sale. Easy to use Rivet assembly! 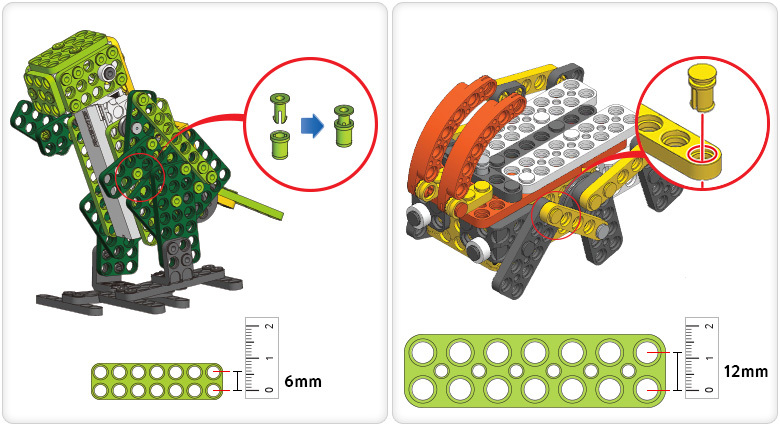 ROBOTIS PLAY uses the patented Rivet parts to assemble the robot. Unleash your imagination with easy assembling! 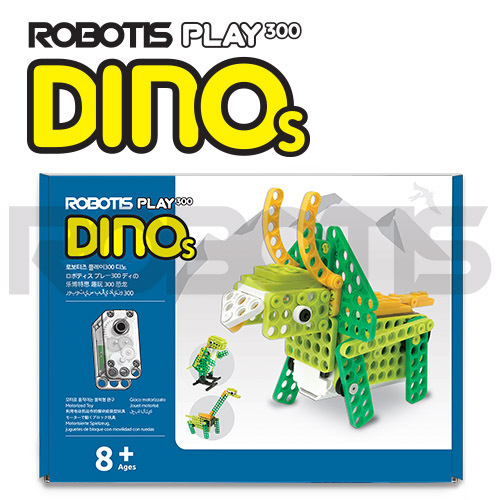 * PLAY 300 DINOs (6mm) is included with 2 step rivets. * PLAY 600 PETs (12mm) is included with 1 step (integrated) rivets.